High interest rate student loans? There is much to be thankful for as a professional with stable income and good credit, but for many graduates, this comes at a hefty price tag–student loans. Most graduates doesn’t have a credit history and perhaps buying a car on finance for the first time. Breathe. Don’t panic. There are resources for you to lower your interest rate on your student loans and save money. One often untapped option is to refinance your student loans at a lower interest rate which saves you money over time. Why spend your hard earned paycheck on student loan interest payments, when you could buy tickets to a football game, save money for a vacation to Hawaii, or get manicures without the guilt? When refinancing your student loans, there are many lenders to consider. One company is Darien Rowayton Bank (DRB), a national provider of student loan refinancing with customers in almost all 50 states. DRB focuses on borrowers who have 1) graduated with a degree–undergrad or graduate, 2) have a stable job and income, 3) good credit, and 4) a strong debt to income profile. DRB allows you to refinance both your Private and Federal loans. For graduates from MBA, law, medical, dental and engineering programs, this is a no brainer. Refinancing your student loans with DRB will provide these students with a win-win situation that will help save them money in the long run. 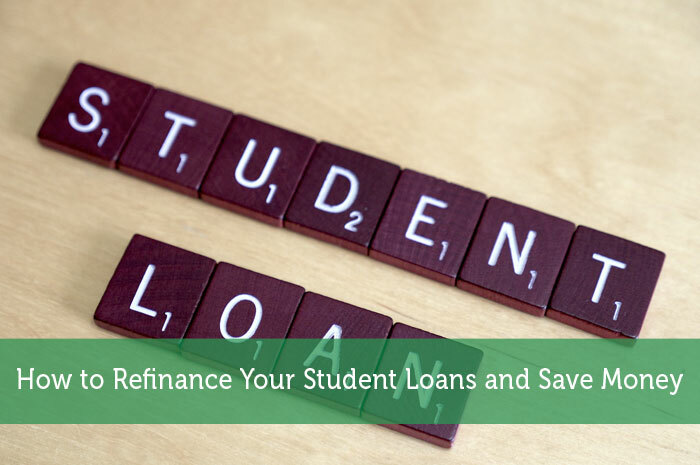 Student loan refinancing is an option that provides the borrower with the comfort of being in control of his finances, while also giving him the luxury to invest early income in other interests (e.g. Sailing? Cars? Shopping sprees?). Click here to learn more about DRB. To give you an idea of how low the rates at DRB are, here are some of their proposed rates: for 5 to 20 year variable loans, the percentage rate falls between 2.63-3.98%. For 5-year fixed rates, the interest rate is between 3.50-4.75%, with a minimal increase to 4.50-5.75% for 10-year rates. 15-year fixed rates fall between 5.50-6.25%, and 20-year fixed rates cap off at 6.25%. In comparison, the interest rate for Direct Unsubsidized Loans from the Federal Loan system begins at 6.21%. Some private lenders are charging north of 8%. Big Tip: Remember that when looking into refinancing your student loans, and after you’ve determined that the federal protections are not something you need, (low) interest rates are the most important factor to consider. Everything else is just noise. Great roundup as usual, really enjoyed your article. Thanks for sharing on How to Refinance Your Student Loans and Save Money. It’s very helpful and useful for us parents. I looked into refinancing and consolidating my student loans, but since they are two different forms of loans, I can’t consolidate them. I haven’t spent a lot of time looking into what else can be done. This is a great option if you can get a better rate. I think it needs to be at least 1% better. Otherwise the downsides like being unable to defer payments/interest start to matter more.